The Serena Shoulder Bag is bold and ready to fit your every need, with pockets on both sides, a zippered interior pocket, and a hook for your keys, and room to spare, the Serena is ready to be with you every step of the way. The interior of this large Eleanor Tote helps you stay organized, with three slip pockets and a zippered pocket, we almost dare you to try to lose something in this bag. Along with the handbags, the Signature Black Collection features smaller accessories to keep everything organized on the go. Handbags made from cruelty-free, vegan leather and featuring whimsical, freeform quilting designs for a modern look and distinctive texture. ANN ARBOR, MI, US, November 7, 2018 /EINPresswire.com/ — Designer Katie Baker from Baker Lane Studio is releasing the brand new Signature Black Collection, and each product will be individually made by the designer herself. The Signature Black Collection will be released on November 9, 2018. 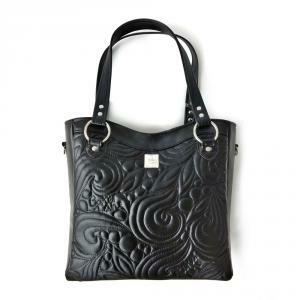 Baker Lane Studio is known for making distinctive handbags for creative women so they can carry art everyday. Thus, for the first time, Baker has created an entire line of her favorite and most popular handbags. The new Signature Black Collection is scheduled to go live on November 9, 2018. The collection will be exclusively sold on the website www.bakerlanestudio.etsy.com where the limited products are scheduled to sell out by the end of the season. 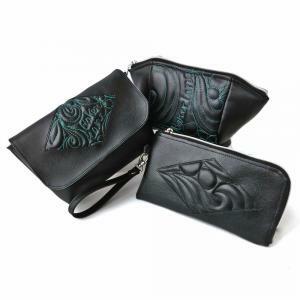 The purses are designed to showcase free-hand quilting with modern and whimsical designs that make women feel as though they are carrying art with them everywhere they go. 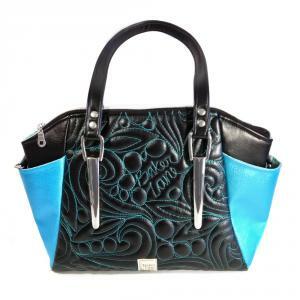 All products come in black for a classic look but some feature contrasting teal to capitalize on today’s trends. All handbags are made from supple, vegan faux leather and are sewn in Michigan, which means all women will be able to enjoy them guilt-free. Her collection also includes small accessories to help keep items safe, secure and organized on the go. The Signature Black Collection ranges in price from $40 to $500. Baker is excited to welcome her fans to the new handmade product line collection they’ve been requesting. For more information about the Signature Black Collection or for an interview with Katie Baker, please write to bakerlanestudio@gmail.com. Media high-res photos available upon request. Katie Baker started designing handbags after she found it impossible to find high-end purses that reflected her personal and artistic style. After many months of creating handbags by hand, Baker’s products started gaining notoriety amongst the handmade bag industry.